Available in pails of 12 packets, 24 packets or 96 packets. Packets are soluble. DO NOT OPEN PACKETS! The packets are soluble and will dissolve completely in your pond, releasing the bacterial blend. Packets are to be applied directly to the water. Distribute packets from shore or boat. 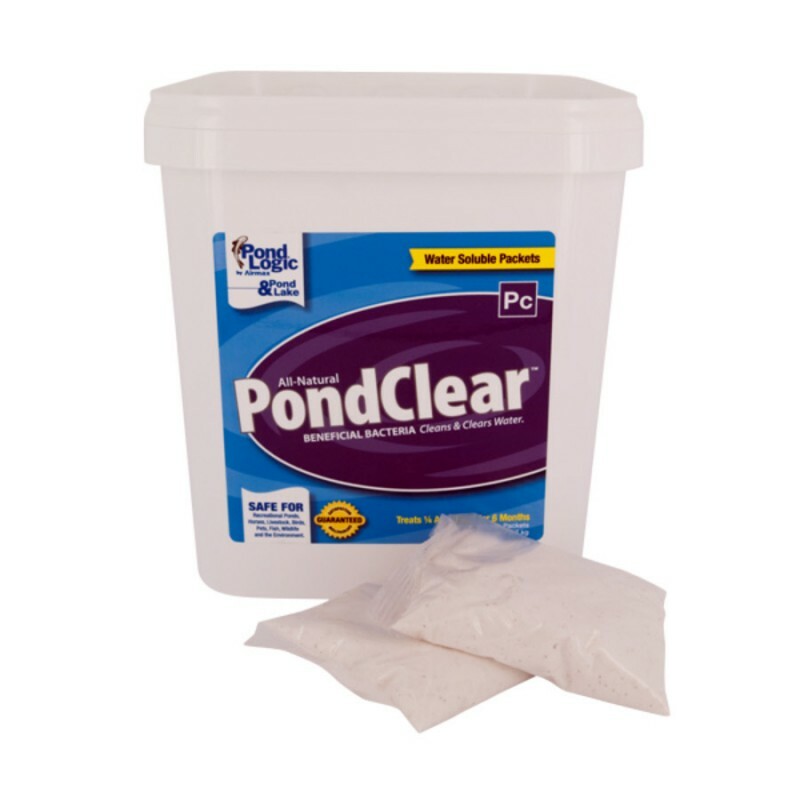 PondClear™ works best when evenly disbursed across the body of water. In large ponds toss the puches out into the central area of the pond or near the bubbles rising from your aeration system. Apply every 2 to 4 weeks when water temperatures are above 10 degrees Celsius or 50 degrees Fahreheit. If any algaecides or herbacides are used wait three days after algaecide treatment before adding PondClear dry bacteria.